Oldenhammer in Toronto: How many miniatures did you paint this year? I love your blog, your papinting and I am waiting impatiently for the next entry! Thanks MK! Happy New Year to you too! I'm happy to hear that I'm not the only one who has a difficult relationship with the Winsor Newtons. Anyway, ABG, I hope we have lots of Oldhammer Comics in 2018! Great year! Try Raphael Kolinsky 8404, I'm quite happy with this range. OK - I will try the RK 8404. Thanks for the recommendation, Jaeckel! An impressive tally. Regarding the ole hairy wands I think that whatever brand you plump for you always get the odd naff one. I have bought expensive brushes in the past only to find they won't keep a point. I currently use Rosemary & Co and although I still get the occasional bad un their low cost doesn't make me grind my teeth quite so much. Happy New Year! I will ad the Rosemary & Co to my list - thanks Gareth. I think your strategy of aiming for inexpensive brushes is a good approach. The secret to happiness is low expectations. Thanks Ragsta. 69 miniatures is a great amount, so long as you are happy with them. Happy New Year! That’s quite an achievement! I’ve managed to paint 158 this year despite focusing on building models at the start and a house move. I’ve just taken delivery of some new W&N no.7 brushes. I swapped to them in 2014 and the first one lasted just over two years. I replaced it and have barely used the new one (about six months), and already the tip is splitting. The original didn’t suffer from a split tip so hopefully it was just a duff brush. If you had to deal with moving house, then 158 sounds pretty impressive to me. I hope the new brushes work out, Steven! I have no idea, but good 00 detailed pointers are elusive. I find I'll have a brush with a tip I like but the ferrul loses it's grip! Although keep a 3 or 4 mop handy for mixing your paint! That's a good idea about keeping some mops handy. Happy New Year, James! Yes, the key is to try and make sure the amo outweighs the odi! 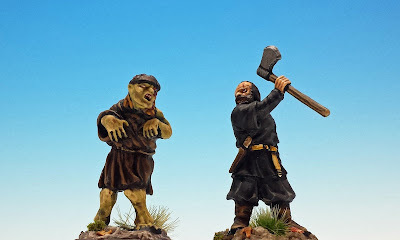 No idea how many I've painted this year, but I can go back through the blog and look. I think for 2018 I will do an inventory and make a database of my collection to get a better handle on things. I use Rosemary & Co and am currently beating the crap out of mine. The first ones I ordered were magic, the last couple of orders have been so so, but I really abuse them. It certainly has given me a pleasant sense of progress to keep track of my output. Anyway, Gareth also recommended the Rosemary and Co, so I will give them a shot. Thanks Sean! Good luck on 2018! Hmm. I think I’m about 200ish, plus all the pieces for Star Wars Rebellion. My brushes don’t get replaced very often, I work with their quirks. Working with the quirks is a good way to go. By the way, I love your work on Star Wars Rebellion. I don't really have the space for that game in my already crowded place, but your paint jobs have made my hand reach for it in the gaming store more than once. Damn it Mathew, I was all excited about this when I saw it on G+. Then I read your profusely long list of painting accomplishments and compared it to my embarrassingly small list! Oh well, hopefully 2018 will be more productive! Keep up the great work and be prepared for many questions from yours truly since I picked up a copy of Imperial Assult! 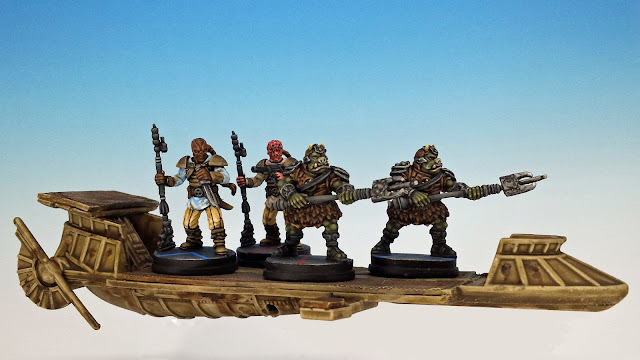 I would be very happy to discuss Imperial Assault with you any time, WK! And I'm looking forward to hearing what you think of it. Have you tried to new solo app? Anyway, good luck with your own painting in 2018! 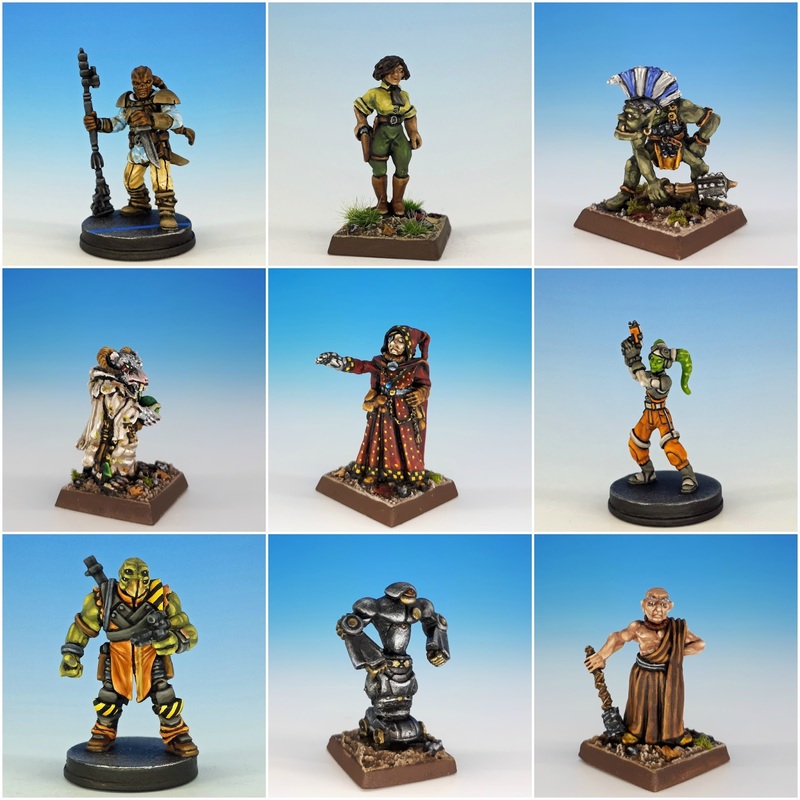 I'm shocked to discover that, according to my blog posts, I painted 34 figures this year! Most are 15 mm, admittedly but it's not bad for a guy who "feels like he barely paints". You paint too well to be a guy who barely paints. Can't wait to see what else you do this year. I am also looking forward to more sidewalk penises of Guelph. I am proud that I am one of the first (and only!?) two followers of SWPoG. It's almost as if you weren't trying to publicize it. Lolololol. It's almost as if a blog with barely any, yet mildly obscene content isn't something I really need on my CV ;) But I won't lie, if I could find more SPOGs, I'd post them. I think you've painted a whole lot of stuff this year mate and it's all been very cool to follow. (Especially for Star Wars fans like me. :P) I posted a year end roundup and I think I did, okay. Could/should have been way more but like everyone else, real life got in the way. My brushes are typically cheap and I use them until they are good for nothing but dry brushing. I'll find and use a point on even the rattiest looking brush if I can to get that "last bit" of usage out of it. So far I've not seen much benefit to buying better quality brushes at all truth be told. (This from a bloke who as a pocket-money-less child would paint with toothpicks prior to be able to afford his own brushes. And that with enamel paints!) Though it is nice when a good one stays in great shape. Haha! I also used toothpicks (and pins) to paint my first D&D miniatures with nasty Testors enamels. Gosh, I LOVED those figures. A great post and a wonderful retrospective of your skill and productivity. After I finished reading it I decided to go back to my own blog to do a quick headcount. I came in at around 180 last year, which is not too bad considering I took the majority of the summer off to enjoy the outdoors and was away for a month during the autumn. I have about 30 in the bag for this year, but that is largely driven by the Painting Challenge. I expect my numbers will drop to almost nothing once spring is in full bloom. As to brushes, I use an assortment purchased from hobby and craft shops. If they have a good point and can take a decent load of paint then they pass muster. I have a couple of W&N's, and while nice, I don't find them so superior to warrant the expense. I did pick up an airbrush in the late autumn and am really enjoying playing with that (bulk colour, OSL and fades) For nothing else, the ability to prime indoors during the cold weather is invaluable.